Here are the scene from the songs of Japan held yesterday. Thank to everybody for coming to the event. 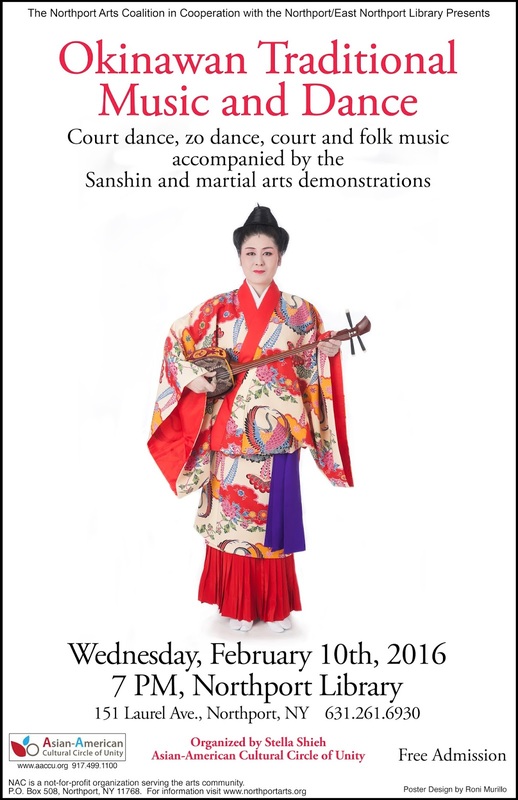 Today, I enjoyed the rehearsal with the Sanshin performer for a stage program on Feb. 10th. Mr. Ikeda will perform court music for the program. Today was our first dance lesson of 2016. It is 4:00 pm, and that is the end of today's lesson. 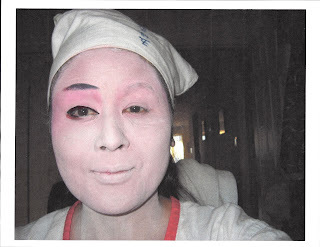 It is difficult to do stage make up perfectly. I have to practice several times before stage like other dance lessons. 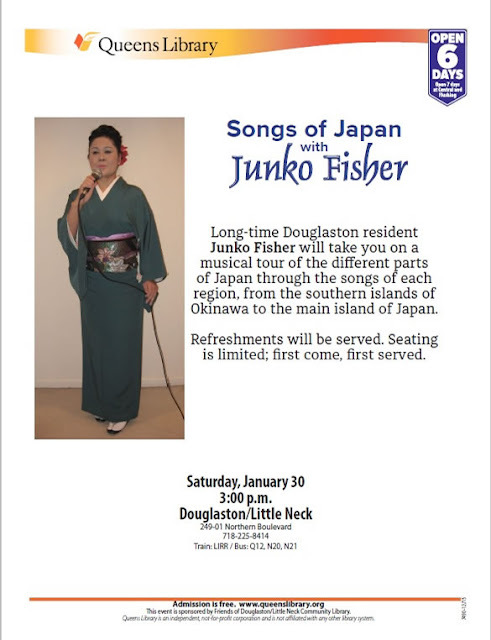 Songs of Japan will be held on Jan. 30th 7:00 pm. 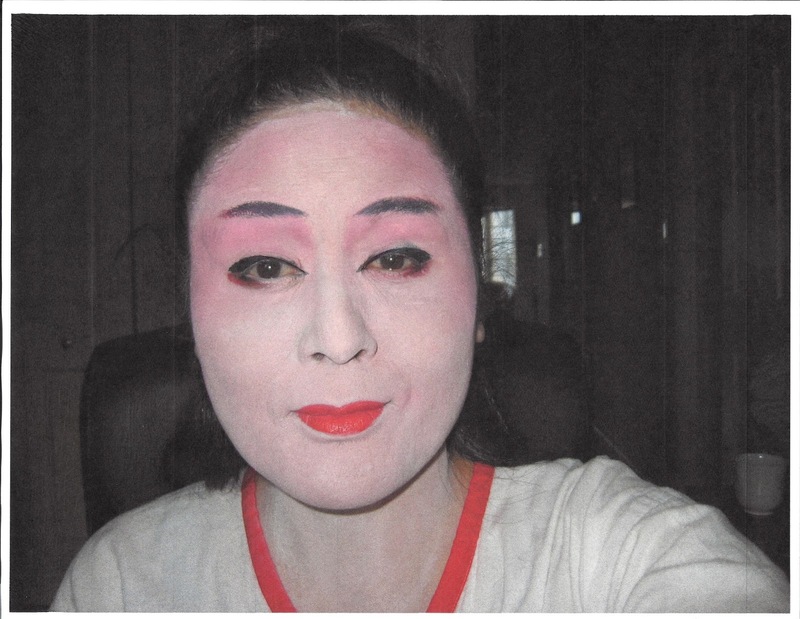 I hope you have great new year! 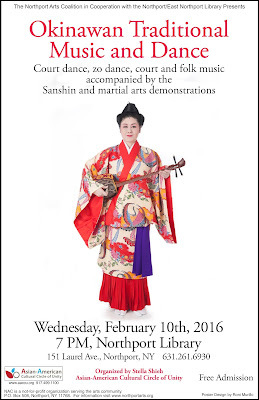 will be held at the Queens Library (Douglaston/Little Neck branch) on January 30th. I also will be offering an one-hour stage program at the Northport Library, Long Island, on Feb. 10.